Deep in the Yucatan jungle lie the remains of ancient Mayan cities that will amaze you and make you wonder of accomplishemts of this interesting yet misunderstood culture. 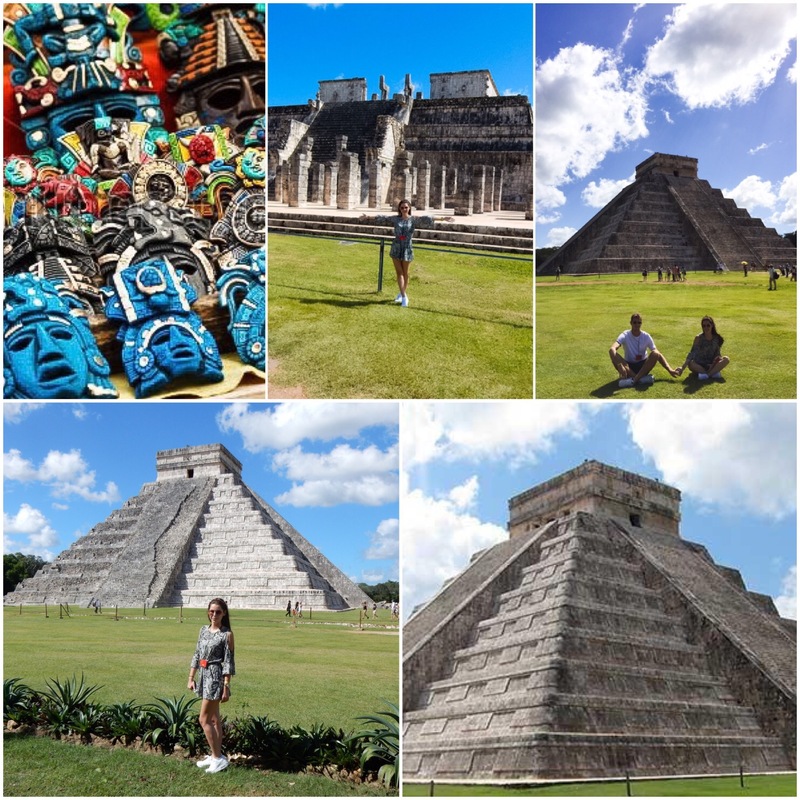 Mayan culture is known for its spectacular architecture, impressive art, and sophisticated mathematical and astronomical systems which were all way ahead of their time, therefore, it is inevitable to visit the Mayan ruins when you’re in Mexico. On the other side, Mexico also has breathtaking clean turquise water beaches with silky-soft white sand that make you feel like in heaven. These two peks combine make Mexico one of the most visited vacation spots in the world. During our stay we selected 3 trips among many. I have to say it was hard to select just a few trips considering Mexico has so much to offer. Take a trip into the Mayan past and visit mysterious Chitzen Itza and I promise you will not get disappointed. Chichen Itza is a UNESCO World Heritage site, second most visited archaeological site in Mexico and in 2006 awarded the title of one of the new 7 Wonders of the World. Located in the State of the Yucatan just 3 hours drive from Playa del Carmen, Chichen Itza is an easy day trip from the coastal cities. Prepare your camera, put on your sneakers and get ready to explore this archeological site that took hundreds of years to build by many different cultures. 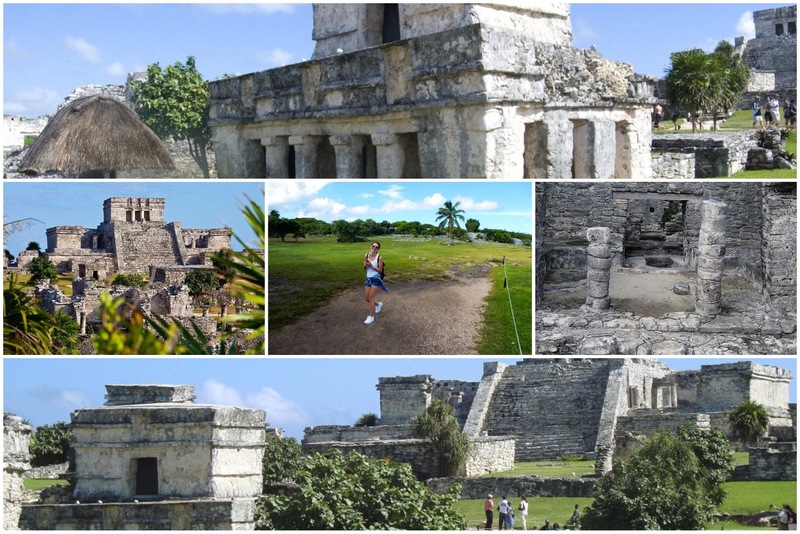 If you are new to Mayan archeology then it is recommended to use a guide when visiting sites for the first time. I would also advise you to be there early in the day, and if you have an option visit the site during the week to avoid the crowd. A close distance to the Mayan ruins of Chichen Itza is where Cenote Ik-Kil is located and a lot of tours from Playa del Carmen to the ancient city of Chichen Itza include Ik Kil in the package. It is one of the most beautiful and famous cenotes of Mexico. The water is 40 meters deep while its diameter is 60 meters. And lets face it after a hot day at the pyramid a refreshing break feels perfect. At first I hesistated, the water looked so dark and you never know what is inside that deep hole. But when my partner pushed me in, I had no choice but to swim. 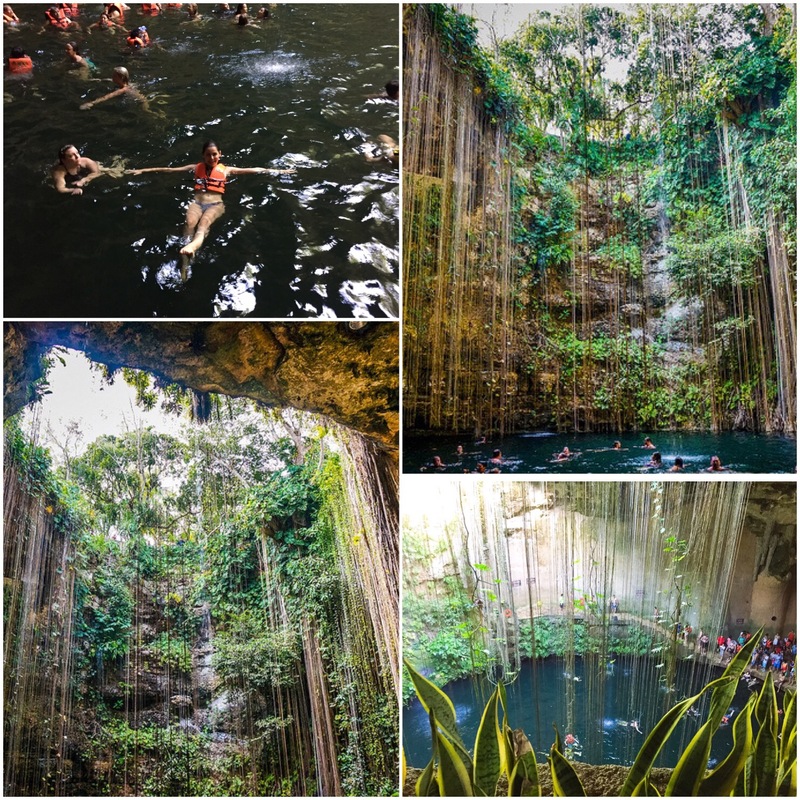 When you jump in for the first time you will feel some type of spooky – interesting energy and perhaps this is because the water of Ik Kil were considered sacred by the Mayans who performed here human sacrificing to their rain god. After few minutes of panicing you are fine, trust me! Overall, it was a unique experience that I would gladly do it again. Tulum, the site of a Pre-Columbian Maya walled city and a port for Cobá, is one of the best preserved coastal Maya sites in the Yucatan. This ancient city is located about 1-hour south of Playa del Carmen and it stands on a 12-meter cliff overlooking the blue waters of the Mexican Caribbean. The archaeological site is relatively small and can be seen in approximately 2 hours. 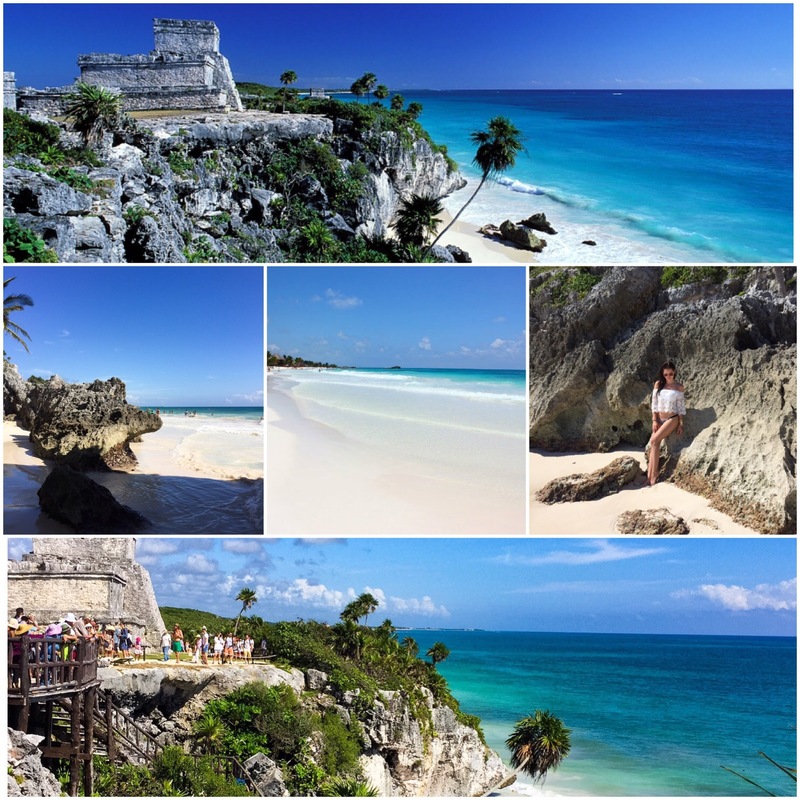 Situated on tall cliffs overlooking the Caribbean Sea, the city of Tulum was one of the Mayans’ last residences. The largest and and best known building is El Castillo (castle), which is located closest to the sea was probably served as a landmark for sailors. But don’t forget your swimsuits to cool off in between. Out of all the ruins I saw in Mexico, these were the most unique and beautiful with its beach setting and crystal blue ocean view. After looking at the trip brochure and the pictures we decided to book this trip, and today I can easily say this 12 hours trip was one of the most inspiring trips of all my travels. 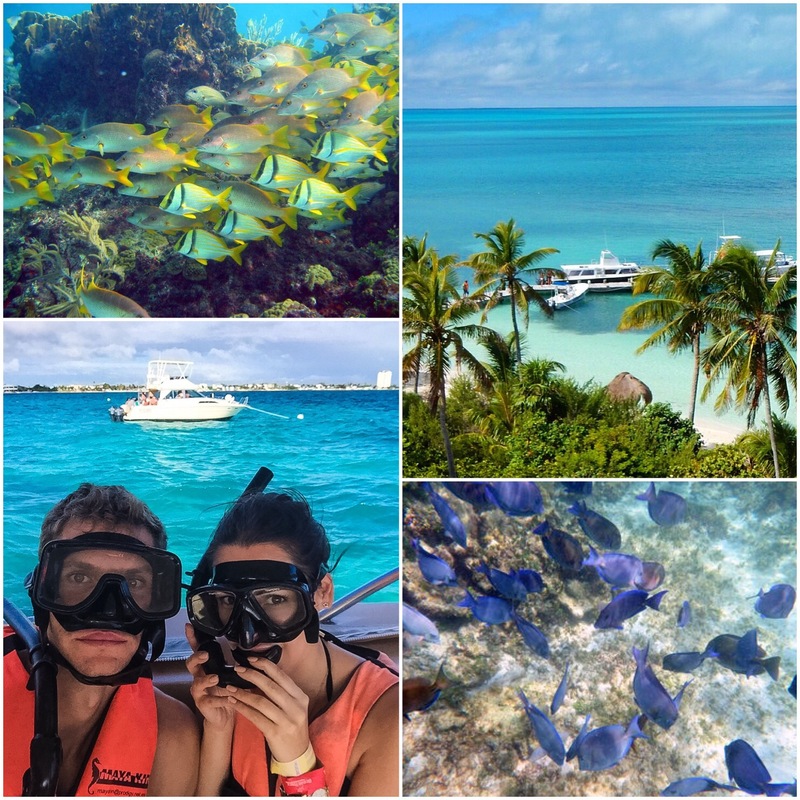 Our trip started in Cancun where we boarded the boat and heded towards the island. After 40 minutes we stopped and went snorkeling with a guide taking us to the snorkelling hotspots. After another 40 minutes we arrived in paradise and the explore natural park. Isla Contoy in the State of Quintana Roo is located at the confluence of the Caribbean Sea and the Gulf of Mexico. 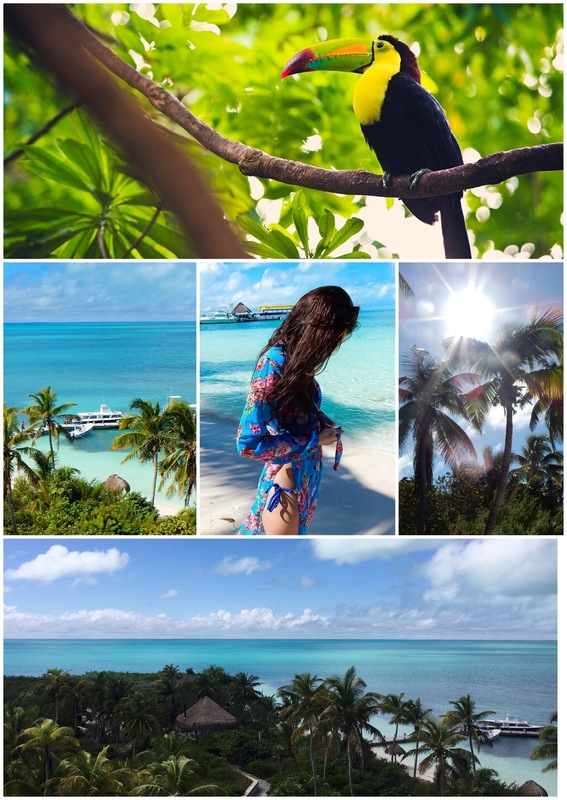 The island very small approximately 8.5-Km in length, however it is considered the most important nesting place of sea birds in all of the Mexican Caribbean. Once you are on the island you are free to do what you want so we did take a quick tour through the mangroves, but be prepare for mosquitoes if you are not actually in the water. Isla Contoy is definitely worth a visit if you want to see a bit of paradise. I hope my trip inspired you to go explore beautiful Yucatan, Mexico.